Diynamic Music's Picture: Moscoman presents the driving and melodic rhythms of Moscoman, aka Israeli producer Chen Moscovici, founder of eclectic label Disco Halal. Moscovici understands to not just create tracks to make you dance, but also to infuse them with a multitude of emotions like longing, hope, melancholy or desire so they remain with you even after the last track has played out. Diynamic Music's Picture: series is a document in time, showcasing an artist's current creative output in order to allow the listener to visualize and understand the artist at a certain moment. 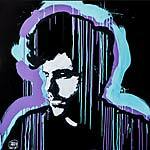 It is not an album format, but far more than merely an EP. Picture: is various dancefloor-oriented facets of one producer, shaping the imagery that ultimately results in the listener's mind. 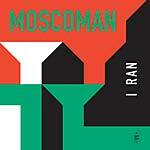 Disco Halal boss Moscoman explains the release: "You need to know where you came from to know where you're going. For my first original EP on Disco Halal, it's time to go back to the middle eastern roots of the label. It's a special track that has been the ace up my sleeve on countless dancefloors across the globe." A patented dancefloor scorcher, "I Ran", sees Middle-eastern vocals thread their way through a lofty percussive blend, simmering up a psychedelic energy. Simple Symmetry spin "I Ran" into a chugging guitar anthem, all in cinematic twist and turns. From Berlin via Tel Aviv comes Moscoman, the music producer behind the underground hit "Fernandez", released IN 2015 on Eskimo Recordings. The original got praise from Psychemagik, Marcus Marr, Headman, Bottin, Red D, Rayko, Khidja and more. Red Axes remix "Fernandez" and boy, did they deliver. In Moscoman's own words: "This one is super special, it's a killer!" 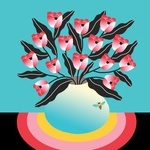 Israeli producer Moscoman delivers three yacht rock killers on acid, opening with "Girls Down South" and one of his first productions, "Deluded Heart," featuring dreamy, MDMA-esque synth action galore. 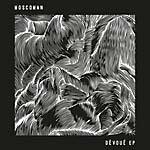 On "Dévoué," Moscoman shows how smooth his oscillations can get. Lithuanian madman Manfredas delivers a behemoth of a remix chopped up in a sampler he bought at a yard sale in 1992. Face-melt city. I'm A Cliche is back in the saddle with a new look and a new feel while keeping the same great sound. 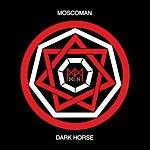 Moscoman's "Dark Horse" features a robust drum groove, a syncopated bass line, a galloping cowbell and treated drum fills that mingle with hypnotic arpeggios and dramatic pads to create an ominous feeling. "Rerotica" features a mesmerizing bass sequence with a no-frills beat. There's a hint of electro-funk nostalgia and a dash of gothic post-punk which gives "Ego Trippin'" that je-ne-sais-quoi required to take dancefloors to the next level. The Twins's remix of the track is tailored for club use with an elegant, full-bodied groove.